Founders League Athletics | Has moved! Come visit our new site! If you missed it, Founders League Athletics has moved to a new site! We’re really excited about the changes and have even more in store for you all soon. It’s great to see such a collective interest in this revered and competitive league. It didn’t all go according to plan for the Founders League basketball teams, as Choate was ousted from contention. Certainly, this was the game of the tournament thus far. On Saturday, Hotchkiss travelled to New York to face a familiar foe, Trinity Pawling on their home court, and TP was definitely not going to make it easy for the Bearcats to win. These two teams have been pitted against each other twice already this regular season, and TP notched out comfortable victories over Hotchkiss both times. But, there was something different about Hotchkiss this time round, the Bearcats refused anything but victory, and it turns out that the third time’s the charm for Hotchkiss. Both teams played hard knowing that a spot in the finals was on the line, but Hotchkiss won the day and got their 20th victory on the season as they beat TP 62-58. Not only was this an upset in the sense of seeding (Hotchkiss #3, TP #2) but Hotchkiss was able to defeat a team who seemed to be their juggernaut this regular season. Regardless of the result, TP still had a very successful season, and look to be back at getting a shot at the finals next year. However for Hotchkiss, they keep their season and momentum rolling, coming off two very close victories as they head to the final of the New England Class A tournament to face #4 Phillips Exeter. The Final will certainly be exciting as a Founders League team looks for glory and no better way to end their season. In what was surely the upset of the tournament, Buckingham Browne & Nichol defeated Choate Rosemary hall, the top ranked team headed into the tournament. A tight contest throughout the game showed that neither team was willing to back down or give up. Both sides fought till the bitter end but it was the underdog who pulled through, just edging out Choate by 3 points. Considering the fact that Choate went undefeated in Founders League play, this outcome came as a shock to many. Such a game goes to show that when in a tournament filled with talent, any game is up for grabs, no matter the seeding. However, Choate has much to be proud of as they finish their season with an impressive record of 19-3. The Boars certainly look to avenge this years postseason loss, and look for better results in this tournament in the future. Headed into the tournament No. 3 seed, Hotchkiss aimed for a final run, which started against Andover. Playing at a neutral site, both sides exchanged the lead multiple times, but it was the Bearcats who prevailed. Hotchkiss came into the tournament on a winning streak, and continued it in fine fashion. The first round win over Andover earned them a place in the semi-finals match where they would face Trinity Pawling. This past Wednesday, Milton Academy and Trinity Pawling squared off at Avon Old Farms to begin their New England Class A tournament. TP came out with a great display from the beginning of the game, and took control, which led to a comfortable victory over Milton. Being the #2 seed in the tournament, TP certainly lived up to their billing from this performance. With a first round victory in hand, TP looked forward to having the chance of hosting Hotchkiss on their home court to determine who would go to the finals. As expected, the first round of the Stuart/Corkery “Elite 8” hockey tournament provided plenty of good action. There were games settled in overtime, early-round upsets, and quality talent across the board. Inevitably, seasons are coming to an end, and the road to Yale is becoming a more real possibility for those teams still in the scrap. Cushing gave the defending champions all they could handle on Wednesday, as the Penguins pushed the contest into double overtime. Salisbury’s Derek Barach played the hero, as the Mercyhurst recruit got his second, but more important, goal of the game to take the W for the home team. Mitch Smith, who, like Barach, is enjoying a great season, had leveled the score in the 1st frame, but it wasn’t enough to oust Cushing in regulation as the Penguins grabbed a power-play goal in the 3rd period to force overtime. The win pushes the Crimson Knights past Cushing and into a 4:00pm clash with No. 4 Phillips Exeter this Saturday at Berkshire School. Though the parity amongst New England prep school hockey programs has been highlighted numerous times this year, it was a surprise to most when The Highlanders from Gunnery ended the season of No. 2 Kent. Despite entering the final frame down 4-3, Kent couldn’t find a way past the Gunnery defense and ran out of steam as time wore on. Gunnery ended up winning the 3rd 3-0 (the last goal, an empty-netter), to win the game 7-3. Thank you to everyone who has made these past four seasons so special to me. It was an honor to play for Kent. I love all of you. Kent had been put up 2-0 to the good by Zerter-Gossage in a 5-second span, but the Gunnery fought back to end a breathless 1st frame at 2-2. Gunnery broke the deadlock early in the 2nd and never really looked back. The Highlanders now face the winners of the other early-round upset in No. 6 Berkshire, who ousted No. 3 Thayer by a score of 3-1. The Berkshire Bears have the advantage of playing on their home ice. Stay tuned for more updates from the Large Schools tournaments involving Choate and Loomis Chaffee, who both won their Round 1 match-ups to fight on this Saturday against No. 1 St. Pauls and No. 2 Phillips Andover, respectively. The Penguins from Cushing make the long trek from northern Mass to Salisbury to take on the top-ranked Crimson Knights. Both teams played outstanding hockey this season, but the sheer talent of the Knights cannot be overlooked. Just 1 loss to 2nd ranked Kent separated them from a perfect regular season. However, Salisbury has shown signs of vulnerability via 2 ties to weaker opponents in Westminster and Trinity-Pawling. Superior goaltending by Senior Mitchell Datz has shown through as Salisbury has given up more than 3 goals in just one game this season. Cushing has been consistent this year, earning them the final spot in the tournament. The Pens have shown signs of being a top contender. Two wins over 4th ranked Exeter display their skill set well. If not for a few disappointing losses to the likes of Canterbury and NMH, Cushing could’ve earned themselves a higher rank. This is not the first time the Penguins and Knights have met, a 4-3 Salisbury victory in Ashburnham is the only previous meeting. The competitiveness of Cushing could have the defending champs on upset alert. This Wednesday, the Bulldogs from Nobles head through Boston and into New Hampshire to take on Exeter. The two squads have not met this season, but this meeting looks to be a great one. Exeter has just 4 losses this season, two to 8th ranked Cushing, one to 7th ranked Gunnery, and another disappointing loss to NMH. 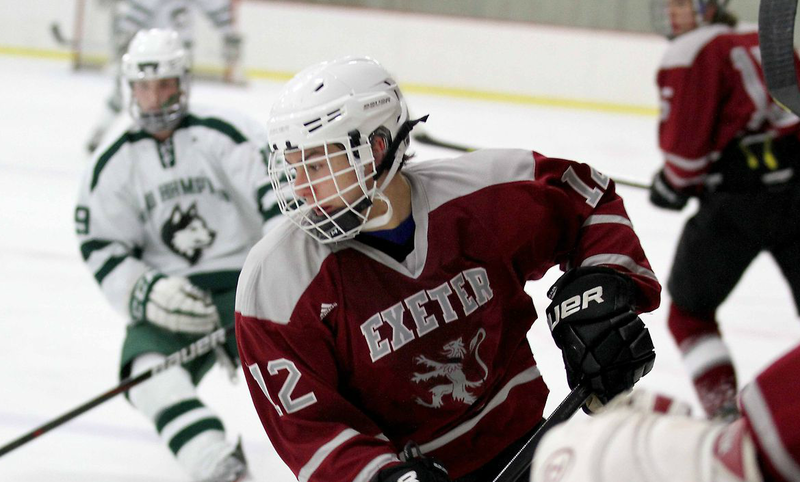 Other than those losses to good competition, Exeter has been flawless and look to advance deep in the tournament. The high-scoring offense could be an issue for Nobles. Averaging an astounding 4.52 goals per game, the Big Red has shown their fantastic goal-scoring ability. Nobles’ weaker schedule this season has led to some “easy” wins, but they could be a road block for Exeter. The Bulldogs featured some disappointing losses to Dexter and to Williston this season but also topped some solid competition. A 4-2 win over 6th ranked Berkshire, and a 3-2 OT victory over 3rd ranked Thayer shows that Nobles has the capability of toppling the better teams. The Bulldogs and Big Red will make for an exciting matchup on Wednesday. It would be surprising if this game was decided by more than 1 goal. The Bears hit the road and travel to Braintree to take on Thayer for this opening round matchup. The two inter-conference teams have not met this season, and the contenders have combined for just 8 losses. However, Berkshire’s losses have come to good competition. Salisbury, Kent, and Nobles—all Elite 8 teams—account for 3 of their 4 losses. Their wins may not be against the toughest opponents, but that does not mean Thayer is a lock. Berkshire’s strong defense shows as they gave up 2 or fewer goals in 19 of their 25 matches. Thayer’s impressive résumé earned them the No. 3 seed in the tournament. A 6-3 win over Nobles and a 6-4 win over Cushing display the Tigers’ high-powered offense. This will be an intriguing matchup to see this explosive team hit one of New England’s top defenses. The key for Berkshire is to out-work Thayer and not allow their forecheck to take over the game. If the Bears’ defense plays its game, this will be a close one start to finish. After a heartbreaking loss to Salisbury in last year’s tournament finals, Kent looks to restart the road to Salem in a faceoff against No. 7 Gunnery. The Highlanders of Gunnery will make the short in-state ride from Washington, CT, to Kent for a first meeting between the two this season. Kent is coming into the tournament with a record of 5-2 in their last seven games. Not only that, Kent has been coughing up more goals than has been characteristic of their squad all season. While allowing 22 goals and netting 34 in that span is a very respectable ratio, it is hard to argue that the amount of goals allowed toward the tail end of the season definitely went compared to the Lions’ high-point in mid-season. Still, Kent is likely the biggest threat to No. 1 seeded Salisbury, but the Lions will need to wade through the field of competitors first before setting up a potential third meeting with the Crimson Knights. 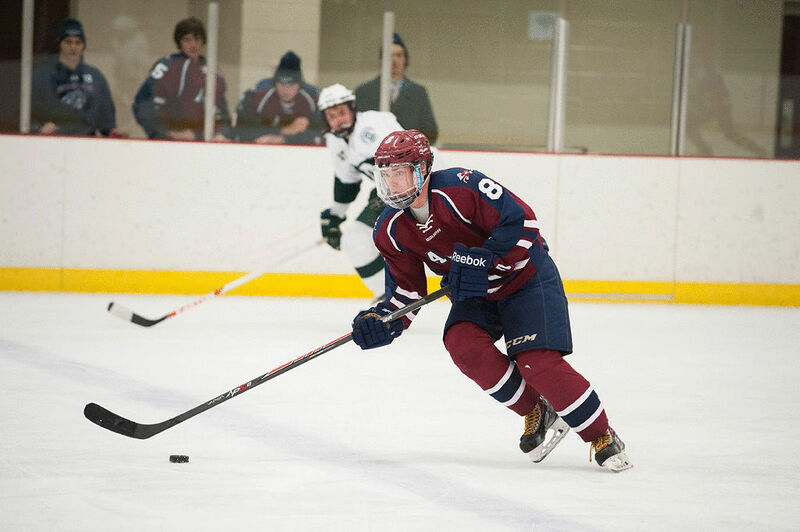 The 2013-2014 hockey season saw disappointment for Founders League teams as only Kent qualified for the Elite Eight while 5 Founders teams had losing records. From the Housatonic League (Founders League + Salisbury and Deerfield), Salisbury grabs the No. 1 spot in the Elite Eight. The 2013-2014 season for the Winged Beavers saw their first losing season since 2009. After starting their season with a 4-2 win over Tabor, they lost two of their next three. The downfall of Avon came from a month-long stretch from January 11 to February 15 where they lost 9 of 10 games, crushing any hopes of returning to the Elite Eight or even the playoffs. The perennial New England contender has now been kept out of the top eight for two years in a row and missed out on a playoff spot. Choate started off the season with three straight wins, only to follow them with three straight losses heading into the Lawrenceville Christmas Tournament. Choate took the title in double OT against Nichols, kickstarting their season as they won 10 of their final 16 games while tying three of them. However, the Wild Boars lost their final two games of the season, 1-0 to Loomis and a 4-3 OT thriller against Kent. Choate finished as the 4th seed in the Martin/Earl Large School Tournament and will square off at home against Belmont Hill on Wednesday. Deerfield’s season was tainted with inconsistency, displayed by winning three of their first four games, then losing the next three. That trend continued throughout the entire season, and as a result, they did not qualify for a playoff spot. Deerfield will say goodbye to eight seniors this year and will aim for a spot in a New England Tournament next year. Hotchkiss had their 5th losing season in a row, and it was nearly identical to their 6-20 team from last year. Their downfall came from a 10-game losing streak mid-season. The Bearcats may have found some respite in sweeping the season series against Founders rival T.P. Hotchkiss will aim to get back over .500 next year and avoid yet another losing season. Kent was left with a sour taste in their mouth, losing to Salisbury in the Elite Eight finals last year. They came into the season on a mission, and they absolutely crushed it. The highlight was a 14-game winning streak, including an Avon Christmas Classic title. The Lions also beat up on Salisbury 6-2, surely a victory they enjoyed most. Their efforts, however, were still not enough to best Salisbury as they were allotted the No. 2 seed, behind the Crimson Knights, in the Stuart/Corkery Elite Eight Tournament. They will host No. 8 Gunnery this Wednesday in an elimination game. KO had another disappointing season, marked with an 11-0 blowout by Kent to start and a 9-0 defeat at Avon to end. Of their 17 losses, 11 were by 4 goals or more. While there are only 4 seniors are graduating, there are no signs that this team will be in the upper-echelon of New England, or the Housatonic, anytime soon. Loomis had an up and down season with no real consistency. Their longest losing and winning streaks were both at 3 games. Loomis finished well, however, with huge wins against Choate and Avon. Their strongest win was a 5-4 victory against powerhouse Kent, yet marred it a bit with a loss to Salisbury the next day, again highlighting the need to remain consistent. They stayed right on par with last season when they went 12-10. Loomis will compete as the No. 6 seed in the Martin/Earl Large School Tournament. Their first playoff game is Wednesday at Northfield Mount Hermon, the No. 4 seed. The 2012-2013 New England Champions picked up right where they left off last season, losing one game all year. The loss was to Kent, however, who they could very likely face in the Elite Eight Championship at Yale University, a rematch of last year’s final. Salisbury comes soaring into the tournament as the No. 1 seed and will host Cushing this Wednesday. The Rhinos won their last two games of the season to climb back to 500. The season was a roller coaster for Taft, as they struggled to find any consistency. Taft came close in some big games during the season as well, narrowly losing to No. 1 Salisbury in OT earlier this month and bringing the US Women’s National team (who won silver in the Olympics) to OT at the beginning of the season. Taft was able to finish the regular season strong by winning 4 of their last 6 games. The Rhinos are hoping this momentum will carry on into the playoffs as they will travel to Andover on Wednesday as No. 7 seed in the Martin/Earl Large School Tournament. T.P. started out the season with a three game wining streak as they came flying out of the gates. Things were looking up for the Pride as they had a 5-game unbeaten streak, including a tie against No. 1 Salisbury and wins against formidable opponents in Choate and Taft. That fell by the wayside as they lost 7 in a row, including a loss to Hotchkiss and blowouts by both Salisbury and Kent. Two wins to end the season were not enough to salvage a playoff spot, and T.P. is forced to wait a whole year to have another shot at the playoffs after faltering down the stretch. After starting out the season with three straight losses, it took until January to crawl back to .500. After that, they won 7 of their next 11 games, fighting to secure a higher playoff spot. Two losses to end the season hindered that goal, however, as Westy was stuck with the No. 4 seed in the Piatelli/Simmons Small Schools Tournament. The Martlets will host No. 5 Groton this Wednesday. Choate played back to back games Friday and Saturday this weekend and were able to pick up two Ws. Friday at Taft they were easily able to bring home a 3-0 shutout victory. Outshooting Taft 14-6 in the first period, it took the Boars just a little more time to find the back of the net. With two in the 2nd period and an empty netter late in the 3rd, Choate was able to seal the win. Taft hosts T.P. on Wednesday before closing out at Hotchkiss Saturday. 24 hours later, Choate was back on the ice, this time hosting NMH. Even with their second game in as many days, Choate was able to grind out yet another narrow win and a 3-2 scoreline. 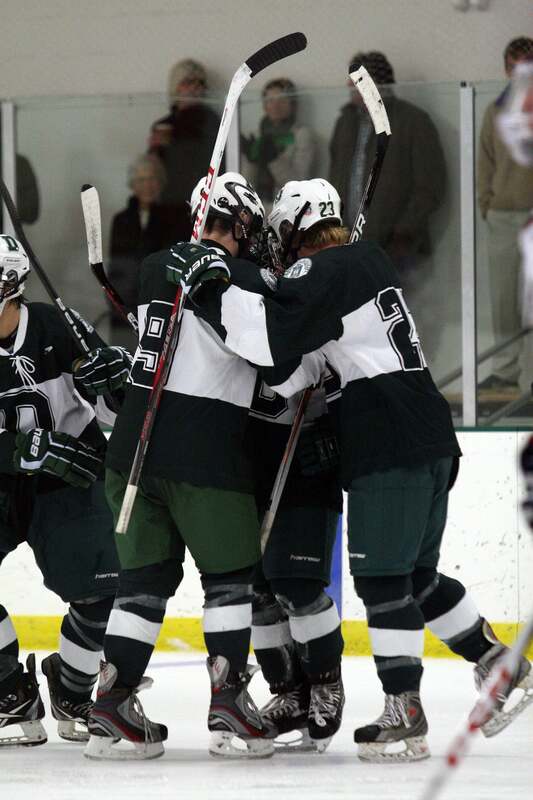 This game also completed a season sweep of NMH, beating them 1-0 earlier in the year at the Lawrenceville Tournament. Choate plays Loomis this Wednesday before closing out their regular season at Kent on Saturday. 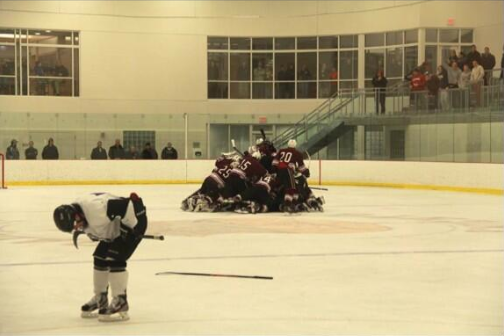 In what is typically a historic rivalry in New England, it was Salisbury who skated away with the result. The Crimson Knights ran away with this one despite being down 3-1 in the second period. Salisbury came back to tie the game going into the final frame. In the third, a 5 minute major taken by Avon sparked a four-goal period by Salisbury which clinched them the win. Avon plays their final 3 games at home, hosting Canterbury this Wednesday, K.O. on Friday, and finally Loomis on Saturday. Salisbury travels to Hotchkiss Wednesday, hosts Deerfield Friday, and closes out at Canterbury on Saturday. The Bearcats traveled across the CT border to face off against the Pride. Hotchkiss scored in the second and never looked back, tallying another late goal in the third to take the contest 2-0. 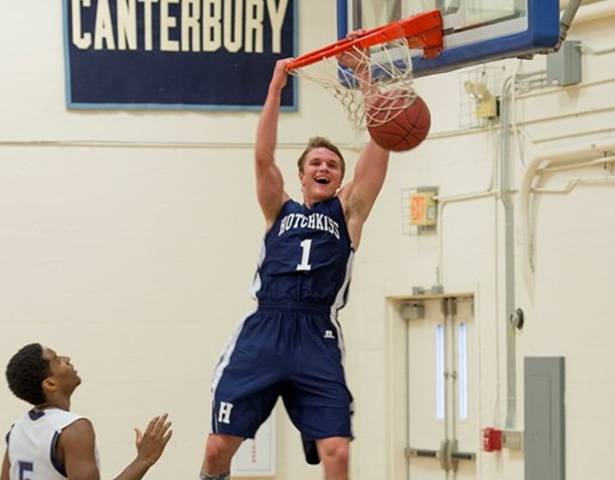 This halted a four-game losing streak for Hotchkiss while T.P. lost their 6th in a row. T.P. still hopes for a playoff spot as they battle Taft on Wednesday and then compete in the Empire Cup starting with Brunswick on Friday. Hotchkiss seeks revenge against Salisbury this Wednesday after suffering a 7-1 loss earlier this season. Hotchkiss closes out their regular season Saturday against Taft. In their first and only meeting of the year, Kent easily sent Canterbury home with a loss. The Lions never trailed as they took a 2-0 lead before the halfway point of the 1st. Canterbury cut the lead in half at 2-1, but that was as close as they would get as Kent scored 3 more to make it 5-1. Canterbury then scored their second of the night late into the 2nd frame, yet that never amounted to anything as Kent tallied three more to close out the game. Kent saw their three-game wining streak snapped Monday as they were upset by Berkshire 6-3 for only their third loss all year, yet the second in their last 5 games. 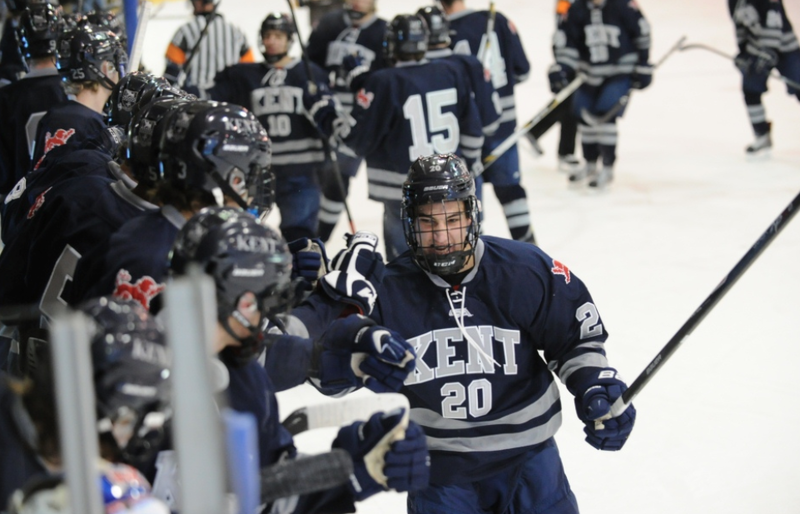 Kent looks to finish their schedule on a high note at Deerfield on Wednesday and hosting Choate on Saturday. The Wyverns continued their unfortunate trend all year and lost their 16th game of their season. K.O. will finish their unfavorable -76 goal differential season as they try to pick up wins against Brunswick on Tuesday and Avon Friday. 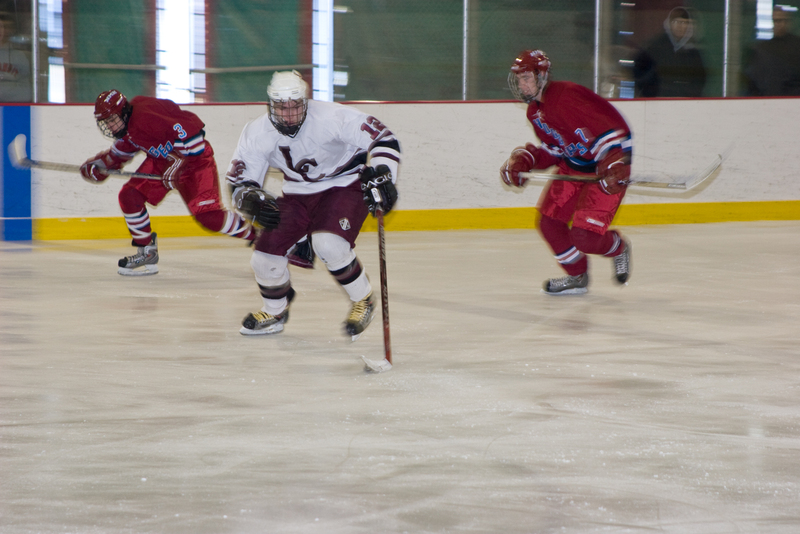 Loomis traveled all the way up to New Hampshire Saturday to square off against NMH. Their long ride home was made even more somber with their third straight loss. They played another game up north on Monday, this time at Deerfield. Yet again, they were sent home with a sour taste in their mouths, tying them at 2 a piece. Though it will be looked at with a slightly favorable light, as the Pelicans were under 30 seconds away from a loss to Deerfield but managed to grab a dramatic equalizer as regulation expired. The loss to NMH and tie to Deerfield dropped them back to 500 for the season at 10-10-3. The Pelicans look to end the slide and solidify a position in the playoffs with two games at Choate Wednesday and at Avon Saturday. Deerfield finishes out their season against three prominent Founders League opponents, hosting Kent Tuesday, at Salisbury Friday, and finishing by welcoming Westy on Saturday. Look out for Westy folks. After losing 4 of their first 6 games, they have now gone 10-4-3 in their last 17 games. A convincing 5-1 win over Berkshire also solidifies their turn around, the same weekend that Berkshire upset powerhouse Kent 6-3. The Martlets close out the season home against Gunnery on Wednesday before traveling up to Deerfield for the season finale on Saturday. The last week has been a revealing one in Founders League basketball, as Choate dropped a tough game to Northfield Mount Hermon, while Trinity-Pawling and Hotchkiss continued their winning ways. Be on the lookout for a massive clash between Hotchkiss and Choate on Saturday, 15th as the Founders League top dogs jostle for position at the top of the standings. Trinity-Pawling continued their impressive winning record with a win against Loomis Chaffee. Loomis fought hard, but in the end it was Trinity-Pawling who emerged victorious. This win brings TP’s overall record to 8-1, with their only league loss being against Choate Rosemary Hall earlier in the season. Choate recorded just their second loss of the season against NMH. Even with this loss against NMH, Choate’s league record remains flawless at 7-0. Choate’s Wednesday game against Salisbury saw the Boars rebound with a 67-58 victory over the Knights. The Winged Beavers traveled to Taft just a day after their close loss against a strong Choate side. Avon would surely try to use this game to rebound from their last. A resilient Taft side was able to cling to victory at home against the Winged Beavers. Both sides gave it all they had, resulting in a very entertaining match. Neither side showed any sides of rolling over and taking the loss, but in the end, Taft was able to hold on to their slim lead and secure a victory. Choate traveled to Avon Old Farms on last Friday night looking for their seventh Founders League win of the season. The Winged Beavers came out swinging and were on top for the majority of the first half. A strong second half performance from the Wild Boars ensured that they would walk away with the win. Choate’s perfect record in the Founders League continues with this win over Avon Old Farms. 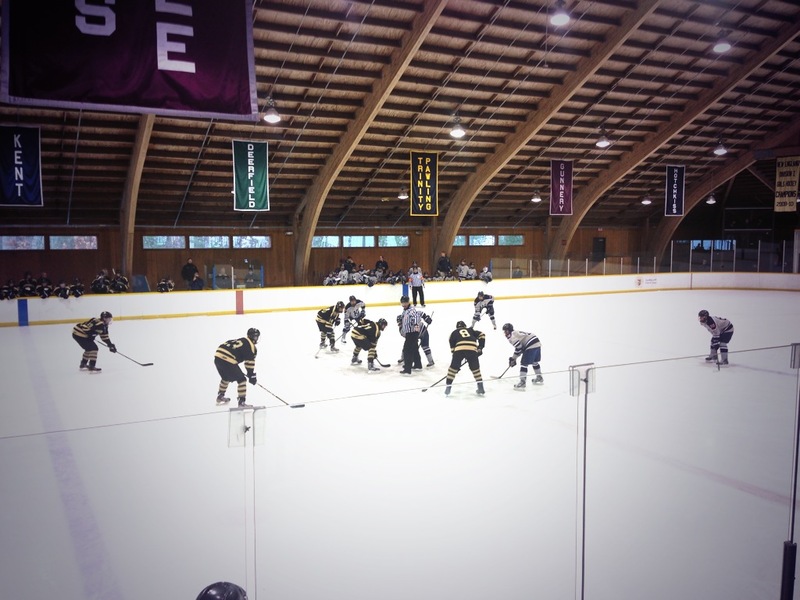 Hotchkiss took on Berkshire in a close match between two even teams. However, Hotchkiss was able to keep hold of their grip of the lead until the final buzzer, ensuring their victory. Hotchkiss will try to use their past two wins against Taft and Berkshire as momentum going into their game against Hotchkiss. Once again, the Bearcats recorded a convincing win, making that four victories out of their previous five games. The Bearcats are currently ranked third in the Founders League standings, used their next league match against Avon to climb higher in the rankings as the Bearcats squeaked by the Winged Beavers with a score of 52-50. The Rhino’s hosted the Salisbury School in a Friday night clash between the two teams. Taft was defeated by the Salisbury School in a hard fought match. The Rhino’s hosted Kent on Wednesday looking for the upset win but were not able to pull it off, and Taft fell 32-52. Westy travelled to Washington, CT on Saturday afternoon for their first match in ten days. The The Gunnery team proved too hot to handle for Westy, who lost by a comfortable fourteen points. Westminster’s Wednesday game came away to Berkshire in which they fell 54-65 to the Bears. 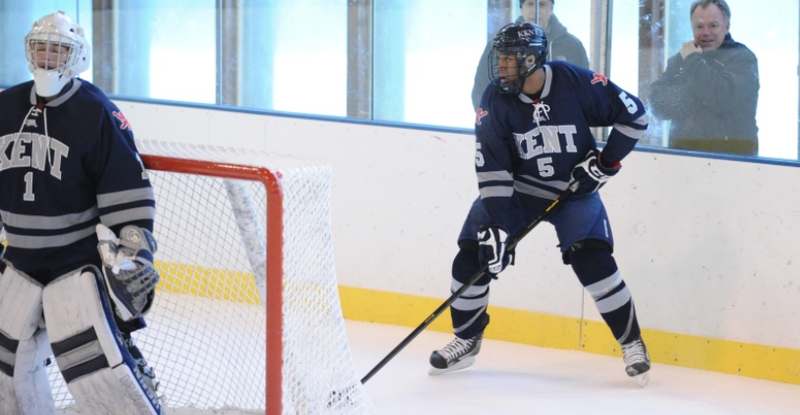 The Kent School traveled to KO looking to add another win to their record. This Kent team played with a purpose and dominated the game from the start. The Kent School made it clear from tipoff that they were going to win this game.